IBM stock was seen as a highly volatile market by mid – March, and continued through the beginning of April. Many traders and investors believed it was a small pullback; however, the continuous decline led to high volatility and uncertainty. The turn in the market with IBM was based on several issues which were a part of the individual stock as well as the surrounding environment. The impact created a continuous downward trend for the trades and investments. While the market volatility continued, many were questioning what the outcome would be for the IBM stock as well as when there would be a reversal. Despite the initiatives of the company, the IBM stock continues to read as a negative trend which remains highly volatile. The impact surrounding the tech industry as well as the DOW further highlight the downtrend with the company. While speculation continues with the IBM stock, there are several areas of data which are reading the market. These all show the volatility of the IBM stock. IBM leading indicators sense the trends with the company as well as how this is expected to change. While there may be some questions with the ability for the stock to turn, formulas from data show how it remains a negative trend. The bearish market and decline with IBM began in mid – March. Leading indicators predicted it would become a negative trend in early February of 2018. The IBM leading indicators predicted the change with IBM based on a fractal system. Trends in the market don’t change from one piece of data or from newsworthy items. A combination of information, statistics and their interrelationship all show how the market will turn. For traders and investors who want to dig into a deep analysis, there is the ability to look at many components which caused the turn with IBM. Price, volume and time all show this. Comparisons to the trends from last year (lagging indicators) as well as the real – time turns also impact the trends. There are also statistics which relate to the company, such as supply and demand. To expand the amount of data needed for a complete analysis, traders and investors can look at the tech industry, turn in the DOW and the other economic affairs which created their turn. Fractal systems are designed to take all relevant information to a company like IBM. 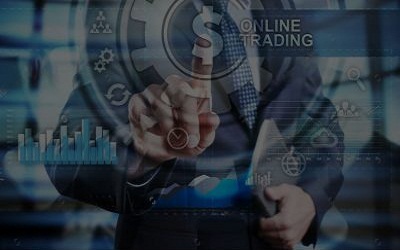 They are then able to use an algorithm which computes the next patterns based on all information offering accurate predictions in the market. The fractal patterns use a Fibonacci series, also known as the Golden Ratio. Used in nature, architecture and statistical data, it is known for the accuracy it gives with computing future patterns. Traders and investors using fractal systems were able to identify what was going to happen with IBM stock. The negative trend was expected and while many saw the trend too late, they profited from the turn. One of our BluFractal traders actually told us about his experience with the IBM stock. Many others which are now trading with IBM stock are uncertain and don’t want to see any more decline. When I saw the negative trend as an indicator in mid – February, I knew exactly what to do… and I’m still enjoying the outcome. The trends which are indicated in the market are able to highlight exactly how you need to move in the market next. When you use this as a part of your analytical formula, you will find consistent results that help you to beat the benchmarks. There were mixed opinions with IBM and the turn with the market, specifically because the negative trend lasted for a longer time frame and continued to be impacted. The many pullbacks with IBM made many analysts believe that it was time to buy with the expectation the market would turn. The volatility with the stock is that the upward trends went back into a negative zone. There are certain pieces of data which add up to the volatility of the market. The company has seen an average stock price drop over the past year. The last year has dropped by 11.63% and the 3 month drop is at 6.38%. This shows volatility with this stock. Other indications with the volatility of IBM are furthered from the surrounding economy. Tech industry volatility as well as the drop in the DOW highlighted the drop. With the projection of quantum computing and AI, many are re-looking their position with IBM stock. This is related directly to the continuous downward trend with the company. If you are looking at IBM for possibilities, it is essential to look at the many pieces of data which are creating volatility in the market. The overall stock price and patterns with the company show the downward trend as a possible continuation. With the negative trend as the alert from IBM leading indicators, it is important to look at how it is going to be impacted in the near future. For those looking at long – term trends, a complete analysis of the data is essential. Adding into this with continuing to examine fractal alerts will assist you to have confidence for your next move in the market. Leading indicators for IBM are currently looking at how this market is turning and what traders and investors need to do to secure their position.